Building maintenance for commercial properties is always a daunting task for one to manage on their own. CRG can not only help with all your maintenance needs; we can save you from the headaches and save you money. Our specialized technicians can take care of your do-to list in no time! You will have one point of contact who will deal with all issues and manage any vendors. Our goal is to make your job easier so you can devote more time to other responsibilities. 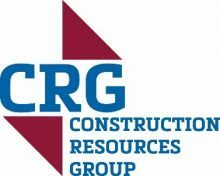 In choosing CRG as your general contractor, you can be confident that every decision regarding project design, scheduling, materials, and subcontractors, is considered with your job goals in mind. We understand that successful projects are not just simply achieved; they are worked for and earned. It takes tight coordination, open communication, and strong partnerships to produce projects on time and on budget. CRG has the experienced team, the strong network, and the services to ensure your next project is a success. No matter what kind of work needs to be done on a home or a multi-family dwelling, count on CRG to provide your project with expert care and attention. With an experienced team that is skilled in a broad range of services, CRG is your best choice for delivering excellence no matter the size of your project. From minor bathroom repairs, kitchen upgrades, basement remodel, painting, new flooring, and more. We want to show you why we are a trusted source for home repairs, home remodels, rent-ready maintenance, and more.